NAPLES, Florida -- Ben Carson stood by his long-held belief about ancient pyramids in Egypt, that they were used to store grain, rather than to inter pharaohs. Asked about this Wednesday, Carson told CBS News, "It's still my belief, yes." The subject came up when Buzzfeed published a 1998 commencement speech delivered by Carson at Andrews University, a college founded by Seventh-day Adventists. 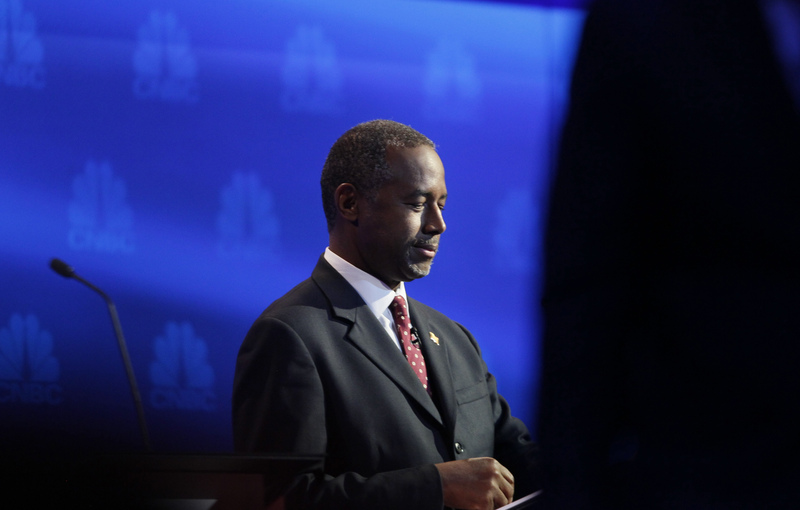 "My own personal theory is that Joseph built the pyramids to store grain," Carson said. "Now all the archeologists think that they were made for the pharaohs' graves. But, you know, it would have to be something awfully big if you stop and think about it. And I don't think it'd just disappear over the course of time to store that much grain." In the same speech, he went on to say, "[W]hen you look at the way that the pyramids are made, with many chambers that are hermetically sealed, they'd have to be that way for various reasons. And various of scientists have said, 'Well, you know there were alien beings that came down and they have special knowledge and that's how--' you know, it doesn't require an alien being when God is with you." Carson reiterated to CBS News that "the pyramids were made in a way that they had hermetically sealed compartments....You would need that if you were trying to preserve grain for a long period of time." What Carson has in mind here is the seven years of plenty in Egypt, referred to in Genesis, when "Joseph stored up grain in great abundance like the sand of the sea, until he stopped measuring it, for it was beyond measure." In the Bible, Joseph fed Egypt and the rest of the world during the seven years of drought that followed.